The “perfect” Southern pimento cheese recipe will be different depending upon whom you ask. 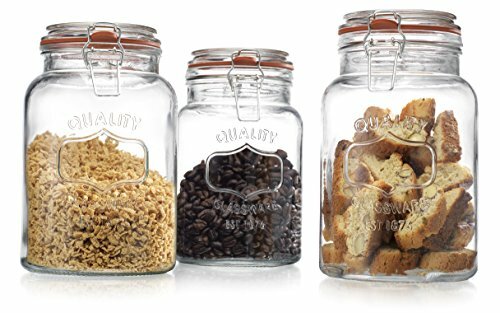 Southerners, from state to state and even table to table, prefer different ingredients and flavors. But almost everyone agrees that the ideal pimento cheese is effortlessly spreadable, a bit chunky and — most importantly — never drowning in mayonnaise. Read on for four variations on the spread itself, plus six creative ways to bring this "pate of the South" into your kitchen. If you have never made your own pimento cheese before, it may take a bit of trial and error to achieve the right consistency and texture, but figuring it out is half the fun since you get to eat your mistakes. 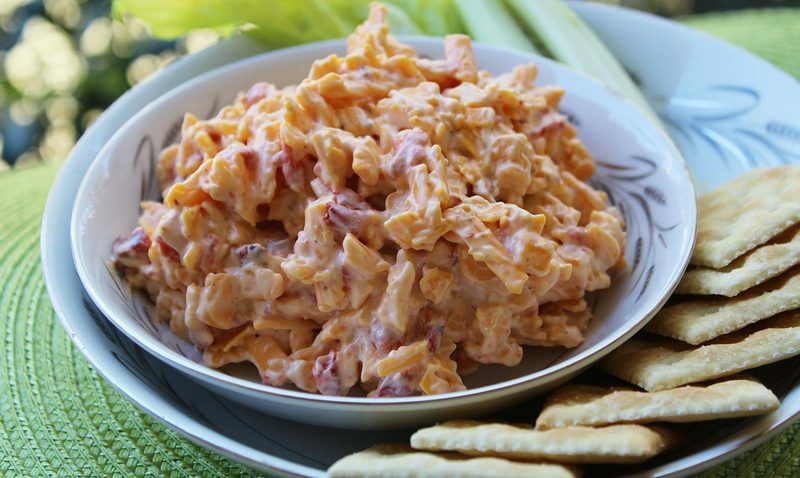 Once you’ve mastered at least one the following time-tested, classic pimento cheese recipes, you’ll be ready to experiment. 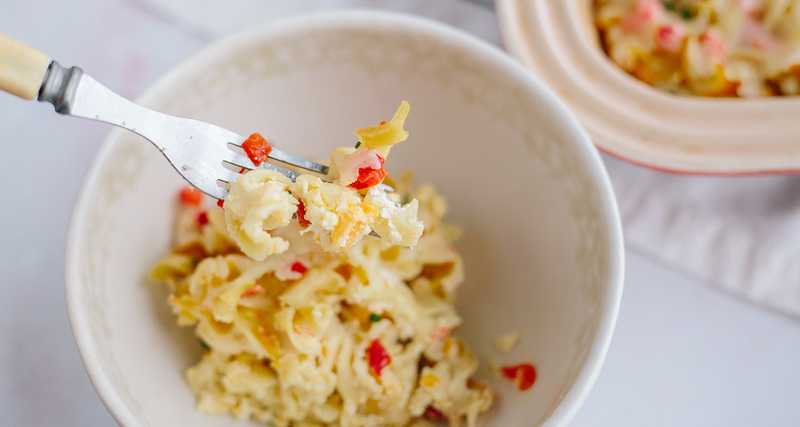 Our signature pimento cheese recipe combines tangy white cheddar with smooth Monterey Jack and rich cream cheese, plus plenty of peppers and mayonnaise, of course. We like to use whole roasted red pepper instead of watery diced pimentos (sorry, grandma!) and blend in pickle juice, Worcestershire sauce and Texas Pete for some heat. Use this cheesy spread on just about anything for a decadent, peppery kick, or eat it straight from the bowl — it's that good. Feel free to fiddle with proportions to suit your fancy, but whatever you do, make sure you use Duke's mayonnaise. It makes a difference. 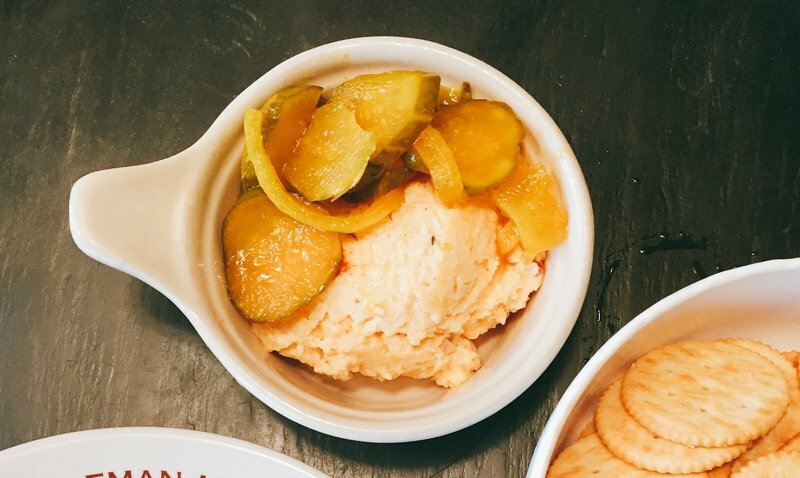 This pimento cheese recipe was contributed by Atlanta chef Linton Hopkins, and is served at both Holeman and Finch and Restaurant Eugene, where it appears in mini pimento cheese macarons. 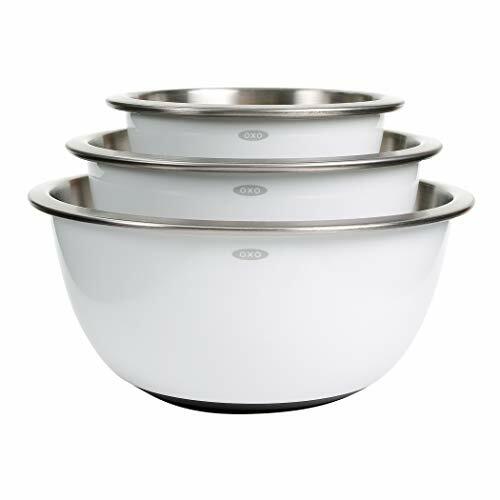 The base recipe is one that Hopkins and his wife Gina created together at home when they first started dating. This classic recipe, contributed by Southern Kitchen columnist Anne Byrn, has a more rustic texture but still plenty of flavor from two types of cheddar cheese, grated onion and pickled jalapeno peppers. Like our chefs, Byrn prefers using roasted red bell peppers instead of canned pimentos — see, we're not crazy! OK, fine. Want a great recipe that uses jarred, diced pimentos? Look no further than this simple recipe, adapted by Virginia Willis. 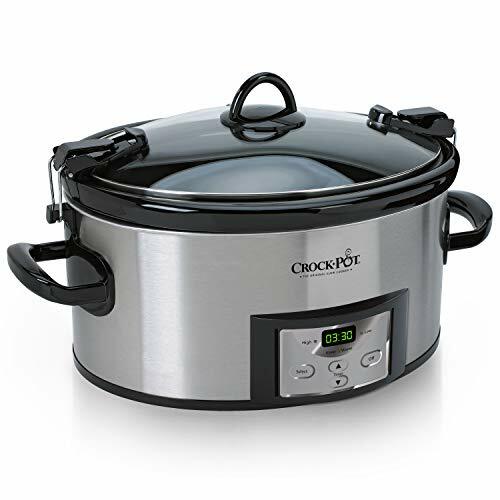 Its classic lineup of ingredients include grated Vidalias and Worcestershire sauce, in addition to grated cheddar and, yes, jarred pimentos. Serve it with plenty of celery sticks. 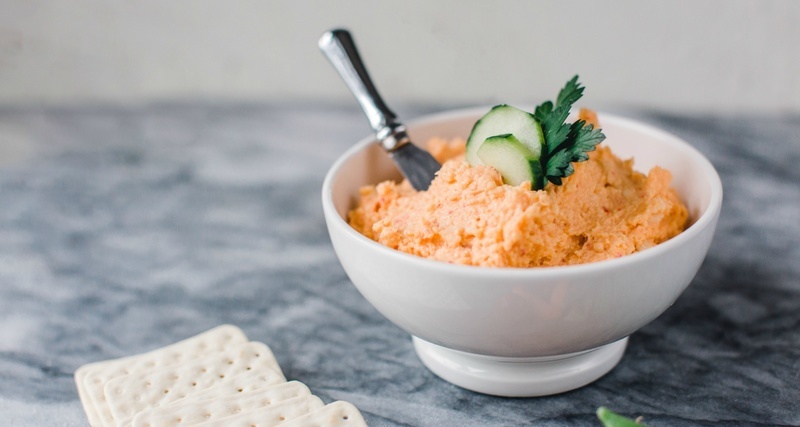 So, how do you eat pimento cheese? More ways than you can count. The most traditional style is to spread the pimento cheese between two slices of white bread. Other popular options include wedging it into celery ribs, serving it alongside crackers or using it as a gooey topping for burgers. You can also cook and bake more complicated dishes using pimento cheese as a component. It’s not uncommon to find it pop up in many classic Southern dishes. Here are a six recipes that demonstrate the remarkable versatility of pimento cheese. Yeah, yeah, this isn't so much of a new recipe as it is a serving technique, but it has become a favorite at Southern Kitchen gatherings. 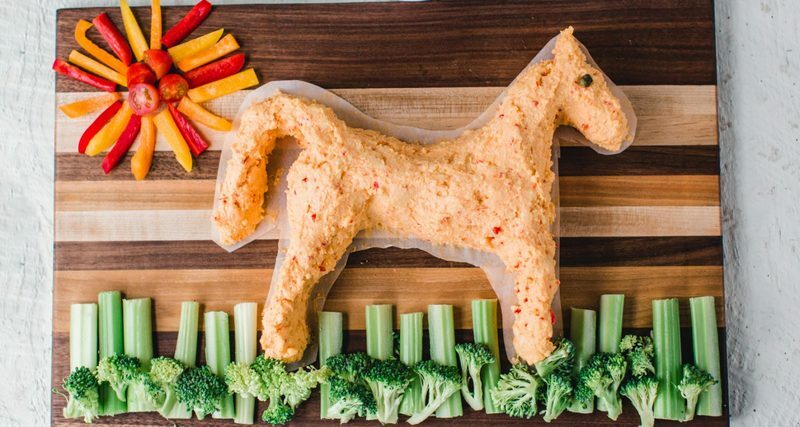 We shaped a big batch of our pimento cheese recipe into a horse for the Kentucky Derby this past year, but you can certainly take this idea and run with it for all kinds of holidays. Pimento cheese Santa? Yes, please! Pimento cheese leprechaun? Sure! 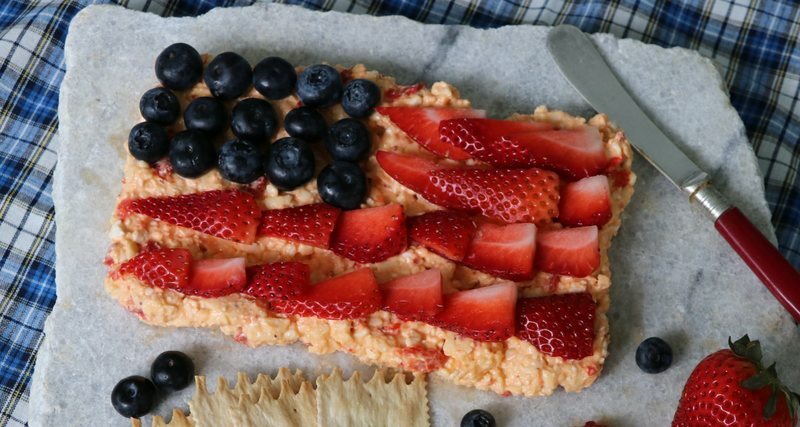 Pimento cheese American flag? Read on. 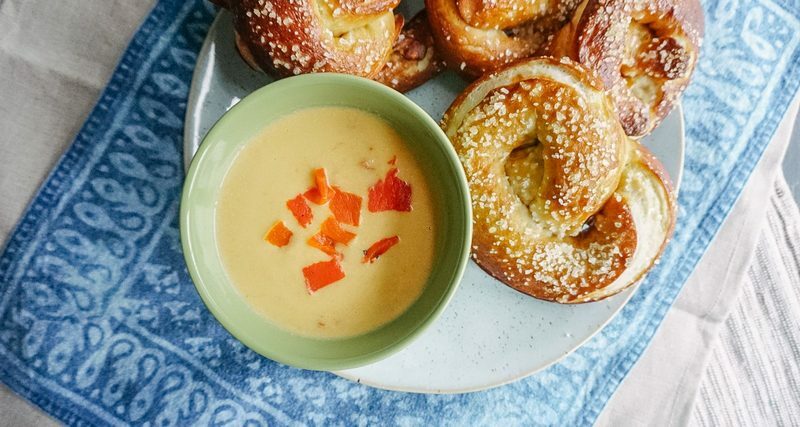 For the Fourth of July this past year, we enlisted the help of our friends from Georgia's Proper Pepper Pimento Cheese to craft a cheese flag appetizer from some surprising ingredients. Don't let the fruit throw you off — this is some seriously delicious stuff. 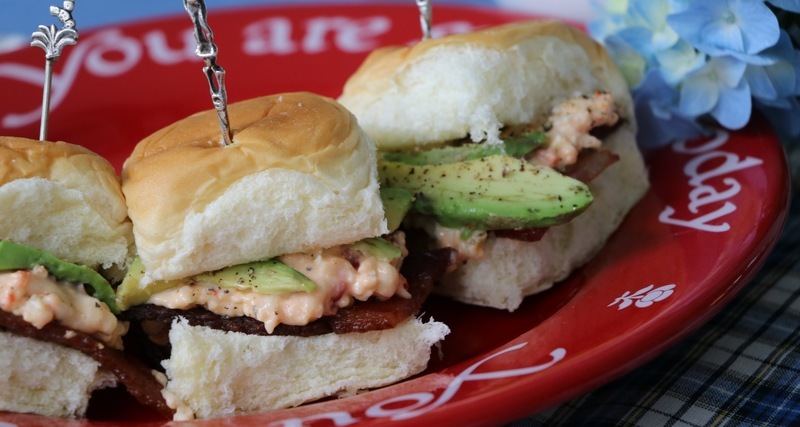 Speaking of Proper Pepper, another great way to use this piquant packaged pimento cheese is in bacon and avocado sliders. They'll be the hit of any summer party or cookout, and we especially love to make them with Proper Pepper's spicy Get Back Jack blend. Proper Pepper is a small-batch, crafted pimento cheese that uses freshly shredded Cabot cheese and is never frozen. The company celebrated its third anniversary in 2018 and its spicy "Get Back Jack" flavor was a 2015 Flavor of Georgia contest winner — so you know its good. Kugel is a traditional Jewish baked noodle dish that is often personalized from household to household. It can be either savory or sweet, but the premise is that the noodles are baked in a custard and allowed to get crispy on top. For a Southern twist, this kugel takes inspiration from classic pimento cheese. 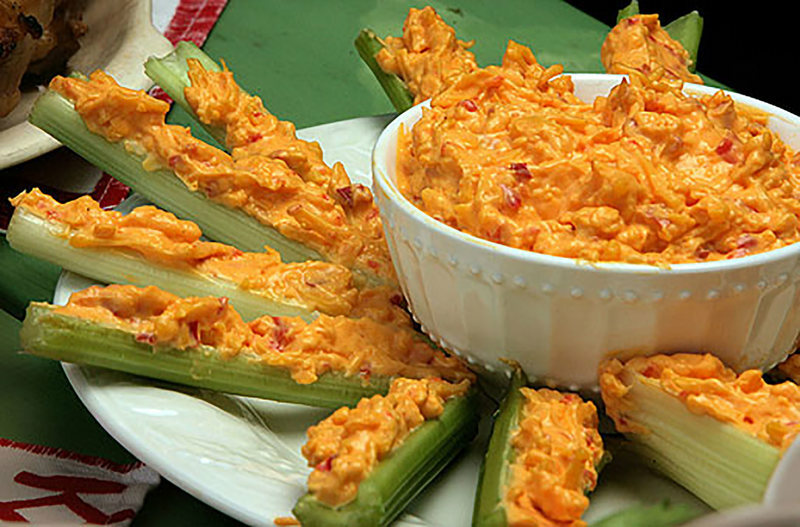 You can either make your own or use store-bought pimento cheese; however, be sure to splurge for the extra pimentos. 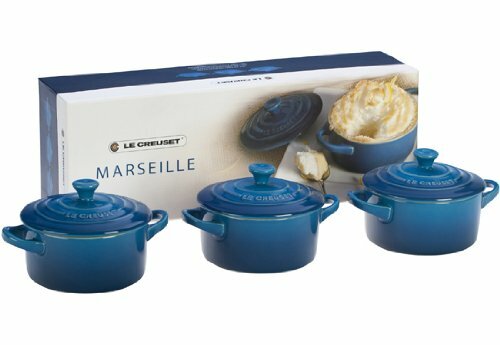 They add brightness and acidity, and keep the kugel from becoming too stodgy. Everyone is putting pimento cheese on burgers these days, but what about pizza? 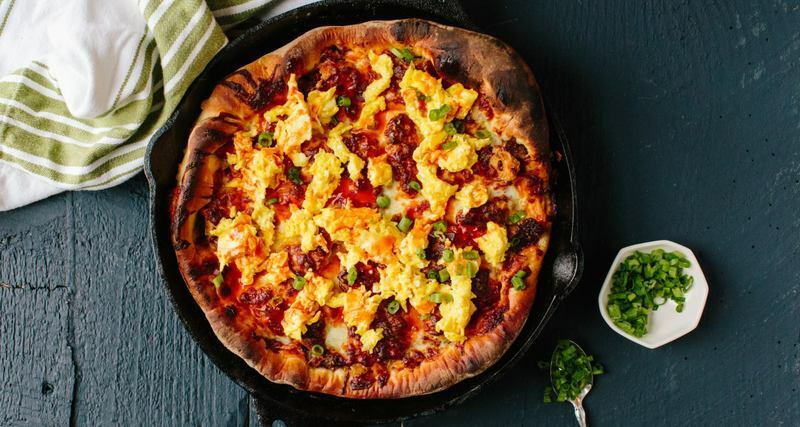 In this wildly decadent breakfast pizza recipe, we used pimento cheese as a building block for other more traditional breakfast fare, such as scrambled eggs, bacon, breakfast sausage and hash browns. Yes, it is ridiculous. Yes, it is delicious.